The holidays are officially upon us. It’s been a busy week around these parts, thanks to our own Andrew Crews, who’s diligently orchestrated yet another year of fantastic giveaways. Today marks the end of The 12 Days of XBLA, and your last chance to score the amazing Grand Prize worth $55 in Xbox Live Arcade games. Be sure to check out the final entry of the contest, and toss your hat in the ring. Finally, we want to wish everyone a very Happy Holidays from all of us here at XBLAFans! 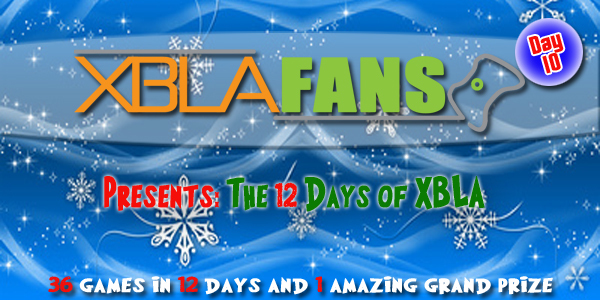 As we near the end of the 12 Days of XBLA promotion, we have one last Photoshop contest for you. 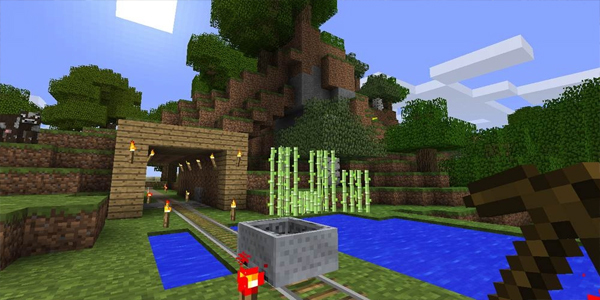 The above image is a screenshot from an 2012 XBLA game after a few Photoshop filters were applied. 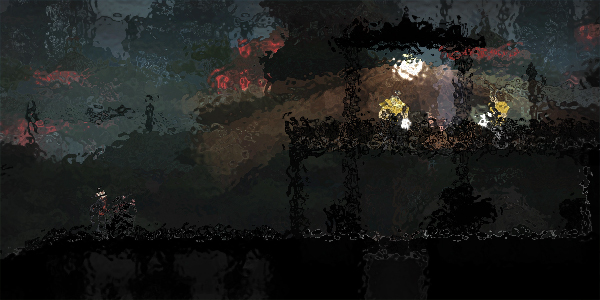 All you need to do to enter today’s contest is name the game the screenshot is from in the comments section below. Good luck! The winner of yesterday’s contest is: Slim (@DarkSlimy) – You have won a a Pinball FX2 Avengers Chronicles and Zen Classics pack. We will be in contact with you today on Twitter! 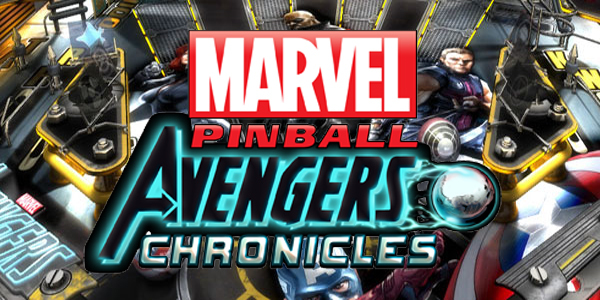 Today we will be giving out an Avengers Chronicles and a Zen Classics pack for Pinball FX2. That’s 8 total tables! All you need to do to enter today is post your dream pinball table in the comments section below. I know I personally want to see some sort of South Park table added. And to be honest, Saved by the Bell would be pretty cool too. What would you like to see added to Pinball FX2? Let us know below and you are entered in today’s contest. Good luck! The winner of yesterday’s contest is: El Ross Maszczak (@el_Ross_M) – You have won a copy of Sine Mora. We will be in contact with you today on Twitter! 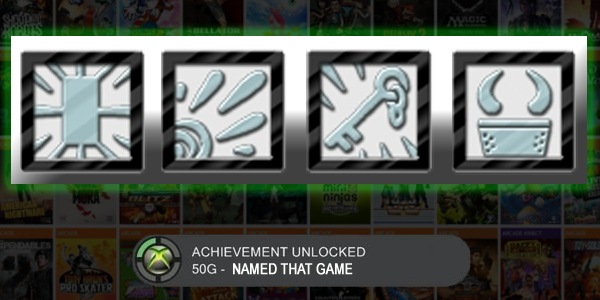 On Day 9 the “Name those Achievements” game returns. 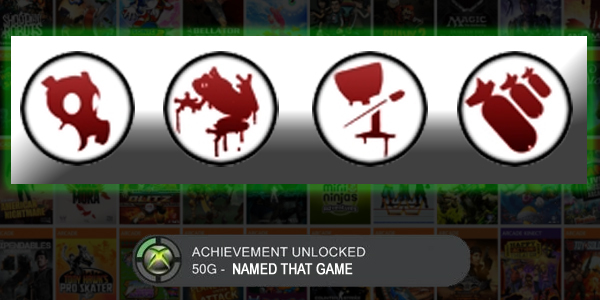 Do you know what XBLA game the four achievement pictures above are taken from? If you do be sure to post the name of that game in the comments for a chance to win today. Good luck! The winner of yesterday’s contest is: Cereal Killa (@ChuckyCereal) – You have won a copy of Mark of the Ninja. We will be in touch with you today on Twitter! 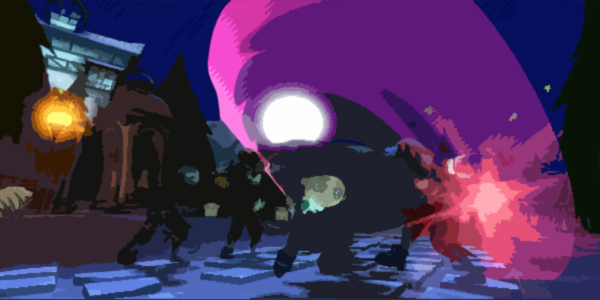 Day 8 brings another distorted screenshot contest. Take a good look at the image above and post what XBLA game you think it is in the comments section below. Guess the game right and you will be entered in today’s contest. Good luck! The winner of yesterday’s contest is: Ken Rumsey (@kenrumsey) – You have won a copy of Pid. We will be in touch with you today on Twitter! 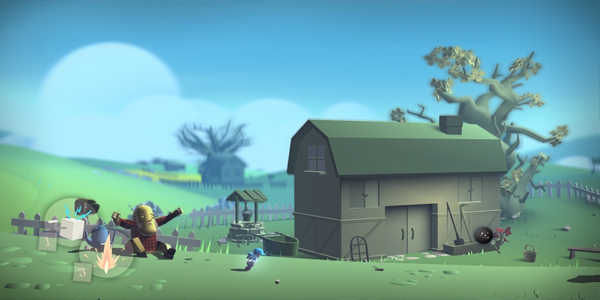 It’s day 7, and today we are giving away a few copies of Pid. In order to enter in today’s contest, all you need to do is answer the trivia question below. Good luck! Question: What is the main characters name in Pid? The winner of yesterday’s contest is: Linda (@ohhaihello) – You have won a copy of Dust: An Elysian Tail. We will be in contact with you later today on Twitter! Today we are giving away a copy of [Redacted]. OK, so we’re not telling you what the prize is quite yet. But in order to figure it out, all you need to do is identify what XBLA game the four achievement pictures in the above image are from. If you can figure it out, then go ahead and post your answer in the comment section below for a chance to win [Redacted]. Good luck! The winner of yesterday’s contest is: Kyle A. (@qwikciphers) – You have won a copy of Happy Action?Theater. We will be in touch with you today on Twitter! Today we will be giving away a couple copies of Happy Action Theater to keep this ball rolling. 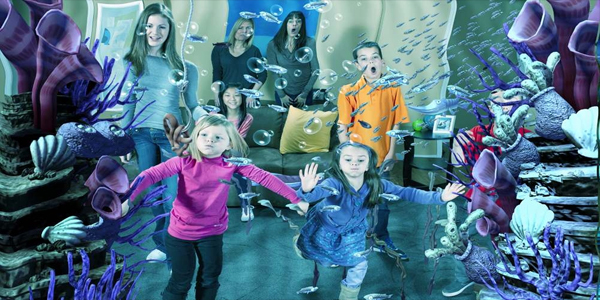 Happy Action Theater is a game full of various activities, and all you need to do to enter today’s contest is describe what activity you would like to see in Happy Action Theater in the comment section below. I know I wouldn’t mind seeing a game that somehow resembles dodgeball, as it was my favorite thing to play in gym class back in the good ol’ days. Let us know what you would like to see added and good luck! The winner of yesterday’s contest is: PerfectionShaun (@PerfectionShaun) – You have won a copy of Spelunky. We will be in touch with you today on Twitter!